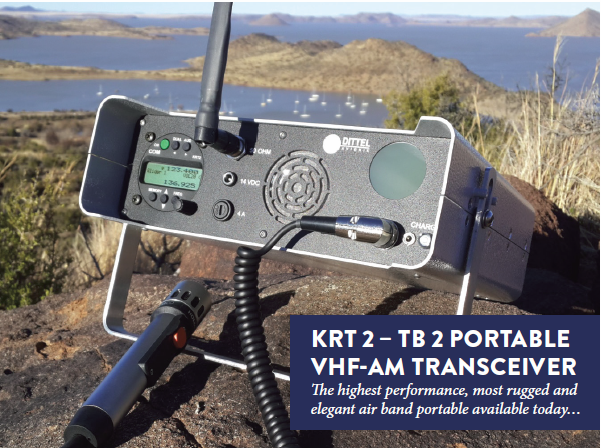 TB2 GROUND STATION HOUSING FOR KRT2 The KRT2-TB2 has been developed by PJ Aviation in South Africa in collaboration with Walter Dittel, Germany, with high local content, stronger, yet simplified construction, easier servicing, modern design and convenience of use. Reduction in weight without compromising strength was a major goal in the development and this was achieved with optimum use of a combination of high strength corrosion resistance alloys. Accuracy of dimensions and fit is achieved through the use of CAD/CAM in a highly automated facility in Johannesburg. The TB2 housing has no plastic outer case. The alloy used in the outer shells and face is resistant to salt water corrosion and denting. A high quality powder coating is applied to the shells and face plates. The handle is polished stainless steel bar. A polished thin stainless steel cover clips over the face plate to provide a protected storage area for accessories during transport. This stores underneath during operation. Particular attention has been taken regarding the security of the battery during transport and rough use. Yet removal and replacement is an easy task. 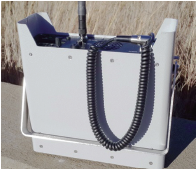 Battery charging on a portable has to be optimum to provide the longest operating times in the field. Merely charging to 13,8v does not achieve a full charge and long battery life. The TB2 uses an automatic charger with a 2A constant current characteristic to 14,6v, equalizing the cells, and then dropping back to a 13,8v trickle. For world wide universal use, the mains charger is rated for 90 to 240VAC 50 or 60Hz. Mains charging status is indicated on the face plate with a bi-colour LED. To de-clutter the face plate, the mains charging socket is fitted at the bottom of the case. External 14VDC charging sources can be connected to the current limiting external DC charging connector. The battery voltage may be read on the KRT-2 radio’s LCD. The standard battery is a sealed 12v/7AH lead gel type, but a LiFePO4 battery with internal BMS and short circuit protection is available. 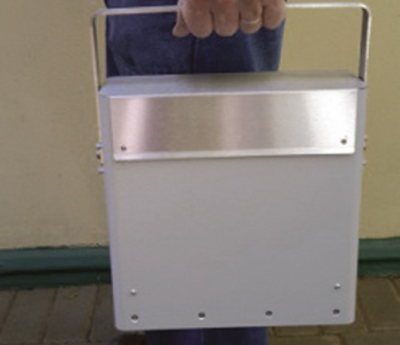 This increases the operating time by 40%, ensures a minimum of 6W carrier output on battery power alone (not possible with a lead type due to the lower voltage) and reduces the portable’s overall weight by 1Kg. This battery is required when the KRT-2 radio is loaded with special firmware for higher carrier power. The loudspeaker has a waterproof mylar cone behind a stainless steel mesh. A communications monitor socket is optional. 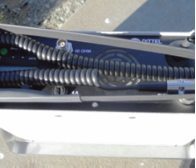 The professional model utilizes a metal tubular microphone which stows inside a tube through the face plate. Headsets with in-line PTT switches are also available. The loud speaker can be made to automatically partially mute when connecting a headset. The antenna on the professional version is a sheathed metal blade type with swivel joint, allowing the TB2 to be used upright or propped up on its handle on a desk. 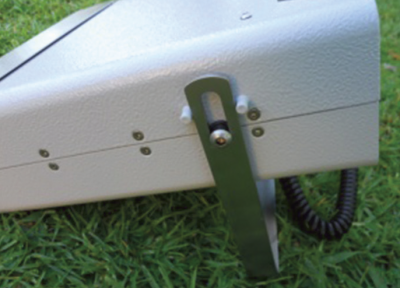 The all metal case allows the antenna to be properly tuned.